A photographer once said that before he actually visited Namibia he was determined not to take photos of the sunset at every destination. “It is so boring. Sunset over the pan, sunset on top of a dune, sunset over the jetty, sunset on the beach.” Then he arrived for his three-week safari and when we talked to him afterwards, he laughed and admitted that he now fully understood that sunsets in this desert country are just irresistible. And even more so when you look through a lens. 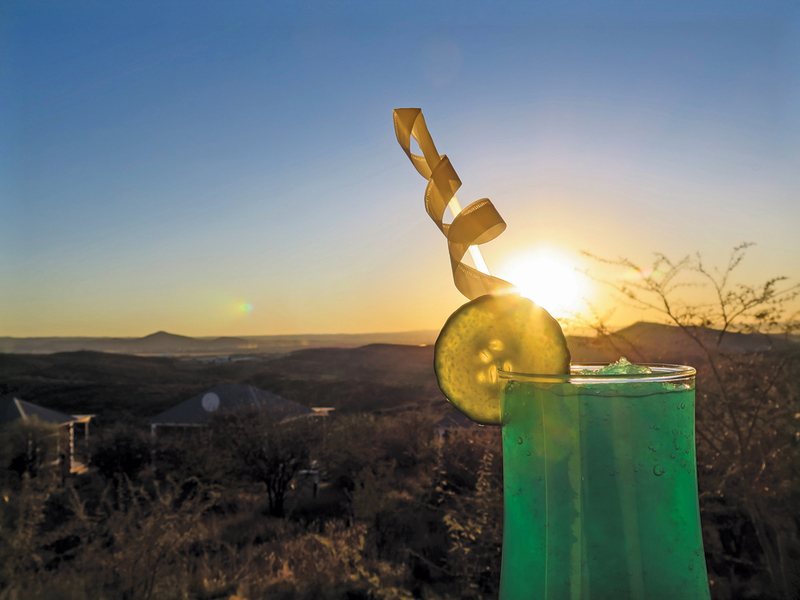 Travel News Namibia asked travelling artist Marcii Goosen to visit some of the well-known Windhoek sunset spots for a sundowner and see if she found the same allure through her lens. 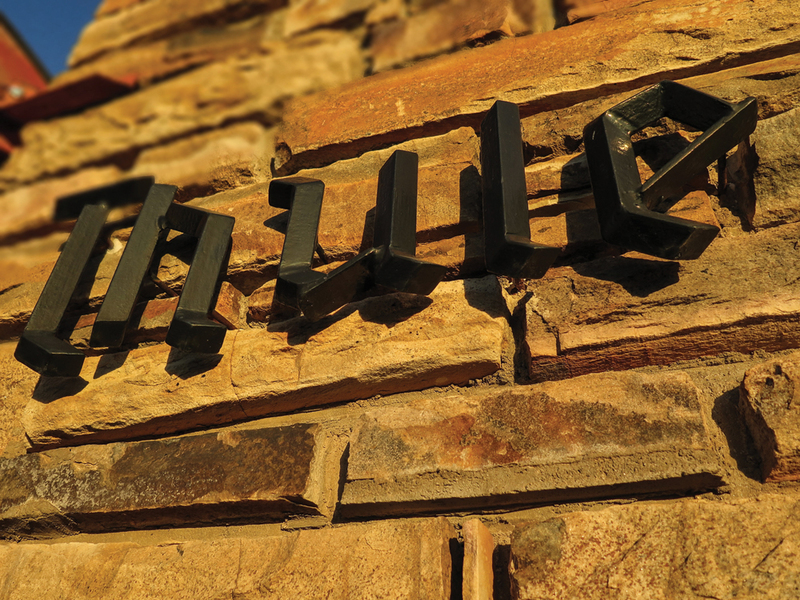 My first stop was Hotel Thule which according to the locals used to be a luxury home, built in the sixties. 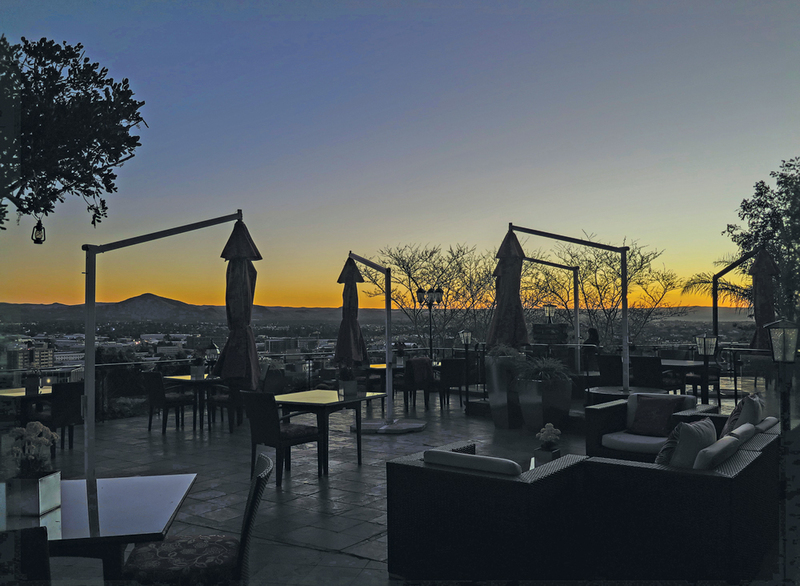 How lucky we are that it is now open for all of us sunset seekers: it has a lovely view of the city and the surrounding Klein Windhoek suburbs. Lined by palm trees, this laid-back hilltop is where you want to be when the sun sets, to capture those warm golden hues in the frame. When the last rays disappear and the inversion layer loses its intensity, it is time to put your camera away and order a cocktail and a locally inspired tapas platter. If you are lucky enough to be there on a night of a full moon, watch the shining orb rise over the hills in the east. If it is a super moon and you have a tripod at hand, you will be the envy of the dark sky tribe. For my second sunset in Windhoek I opted for a heritage site. 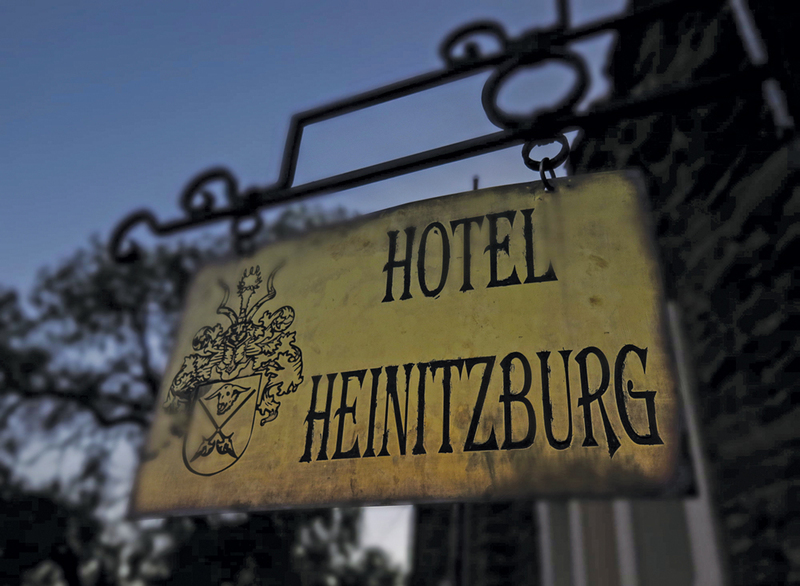 No wonder German architect Wilhelm Sander chose this perfect location to build three castles. They were constructed more than a century ago when there were few other buildings, so he had many hills to choose from. When you have climbed all the steps from the parking area to the terrace, and found a seat facing west, you will know why he considered this spot to be the best. What he could not have known was that a hundred years later it would still provide a perfect view of the city centre spread out against the backdrop of the Khomas Hochland. Come early for a front seat and a steady place for your tripod. 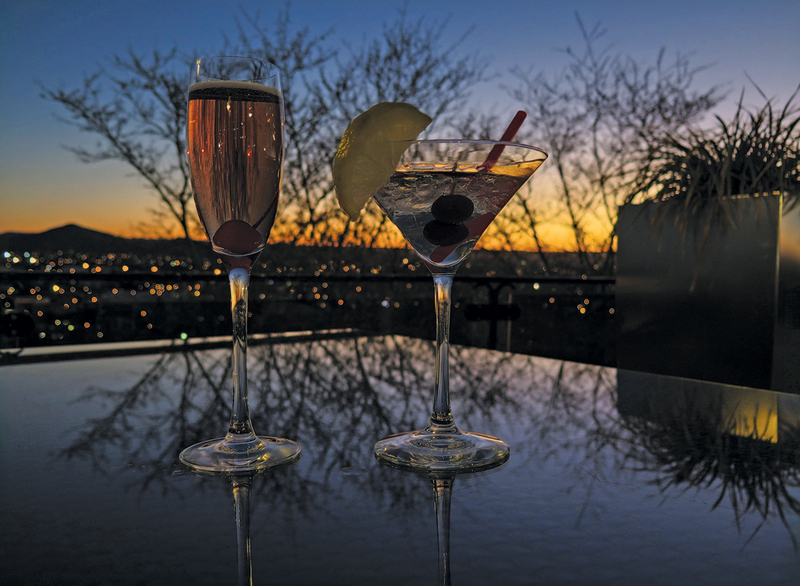 If it takes you until after dark to test the extensive cocktail menu, move over to Leo’s at the Castle for dinner and a view of the glittering city lights. 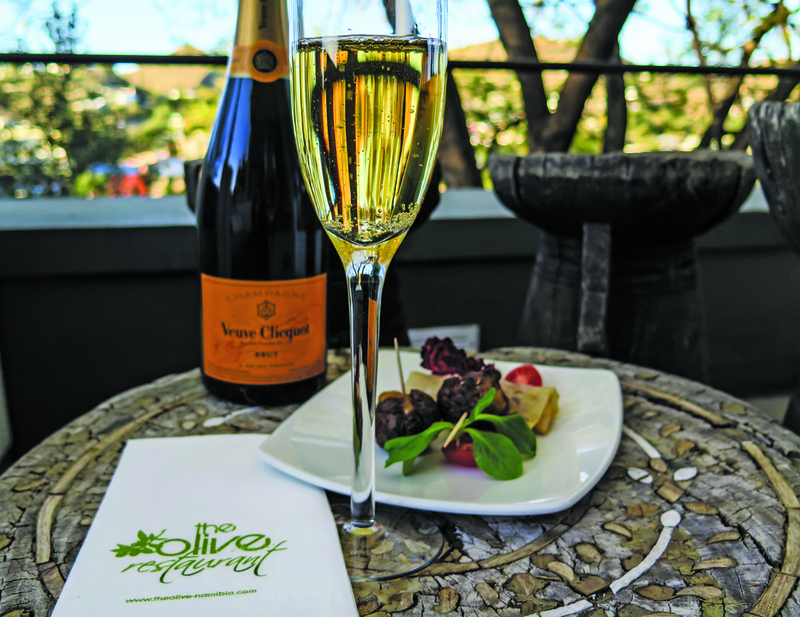 Tibor Raith’s menu is as well-known as the historical setting of the hotel on top of the hill. How fortunate that the Raith family converted this special building into a boutique hotel, for all of us to enjoy. The other two castles are private homes, to be admired from a distance. 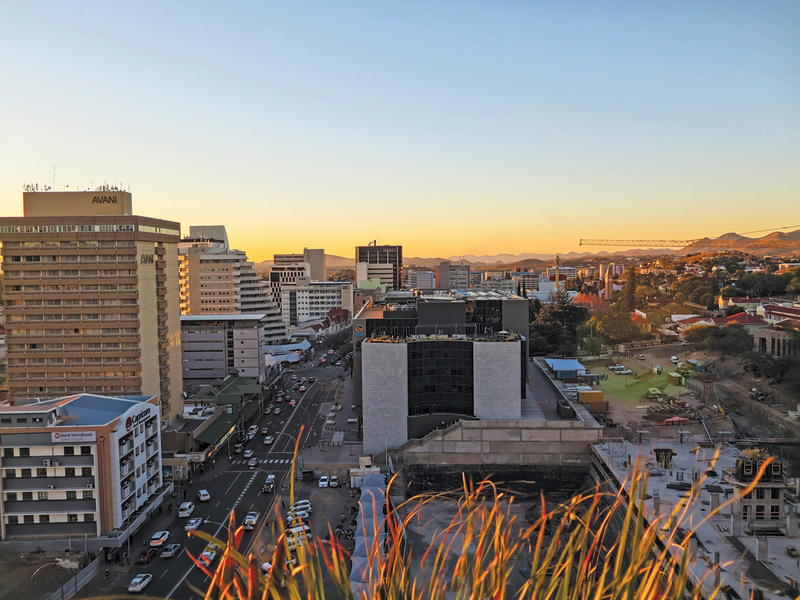 On day three I decided to drive out of town and see whether Windhoek is truly a ‘city in the bush’, as some say. How long will it take me to leave the city behind and be surrounded by the bush? I went south on the B1 to Aris, then turned east and voilà: I was on a gravel road and in the bush in less than 30 minutes. 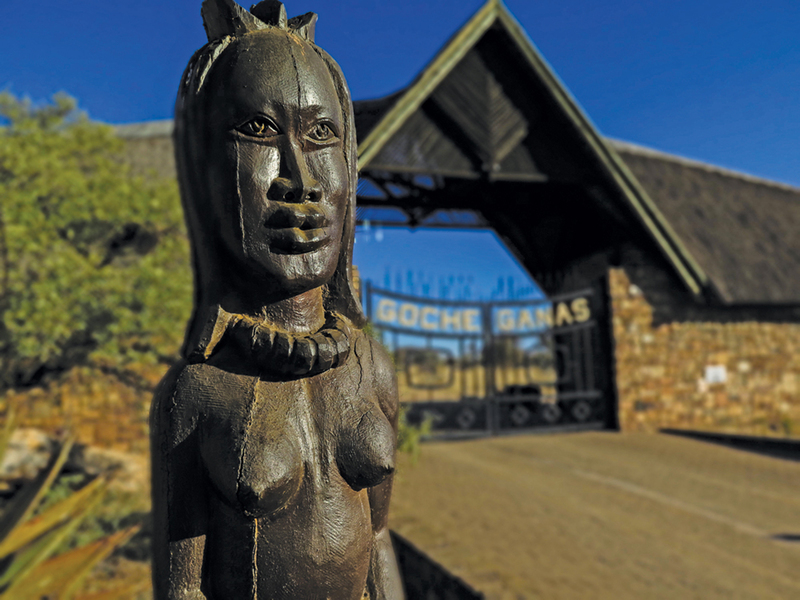 Only 29 kilometres southeast of Windhoek is the gate to the ‘place of the camel-thorn trees’ where a family of giraffes waited to greet me. Well, maybe not quite. They were licking salt stone at the waterhole. I parked my car where the gravel path stopped, then walked up the hill past pretty chalets and the recognisable view through the tall window of the spa and, still higher, to the dining room and terrace with a view over an incredible landscape. More difficult than choosing from the cocktail menu was to decide where to actually sit down to enjoy my drink. 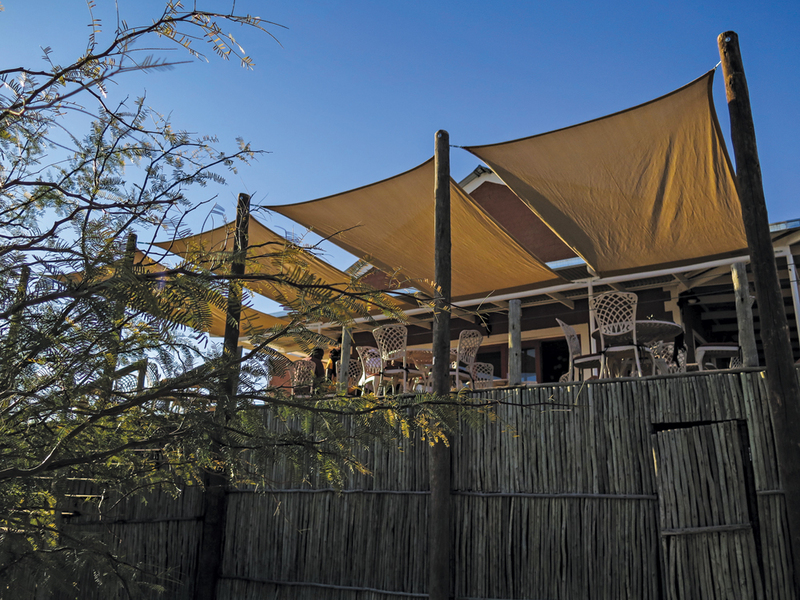 Should it be the cosy bar with its 270-degree view, the terrace or the loungers around the pool, overlooking a waterhole? One needs three sunsets to do justice to each of the stunning vistas. 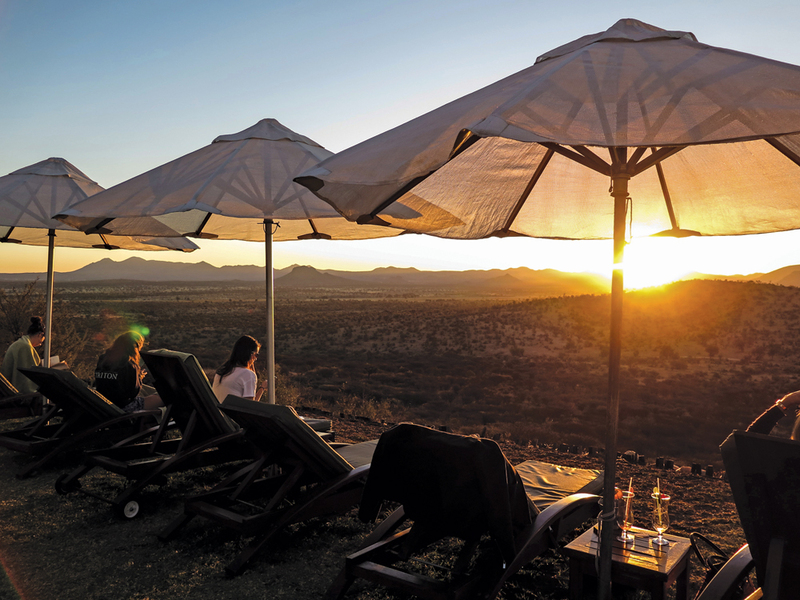 I chose the loungers because three white rhino were walking towards the waterhole below and it was just so comfortable having the late afternoon sun on my face on a chilly Namibian winter day. Next time I will have to stay for three nights, not only because of the extensive cocktail menu which includes healthy non-alcoholic smoothies, but also because of the wellness centre and the many unexplored trails and paths. I want to see more of these rhinos. Day four was spent back in town. This time with my back to the sun but in a setting fit for a queen. A queen with modern tastes. 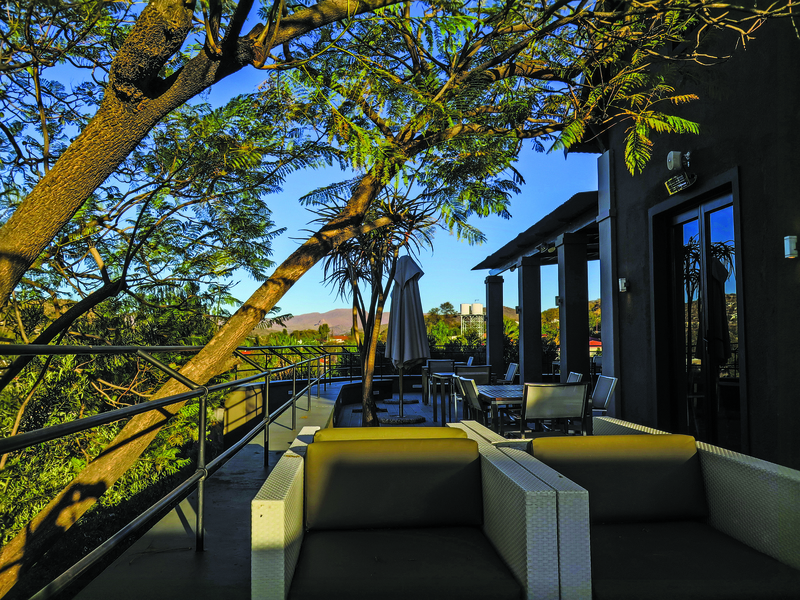 This small boutique hotel in a tranquil corner of Windhoek is chic and contemporary – a hidden gem with an African soul. In the golden hour before sunset African fire drums beat up the vibe on the wide veranda. Don’t just walk past the bar. First admire the way in which the bottles are displayed. And if you then decide to choose a drink from the classic selection of fine whiskeys instead of a sundowner cocktail, you will be forgiven. This is not the place to come to for only one sunset either. The new cocktail and tapas menu is just too enticing. Looking down from the veranda onto the olive grove below, I decided to return for the special dinner menu and then, someday, book accommodation so that I can walk down to my suite through the olive grove. 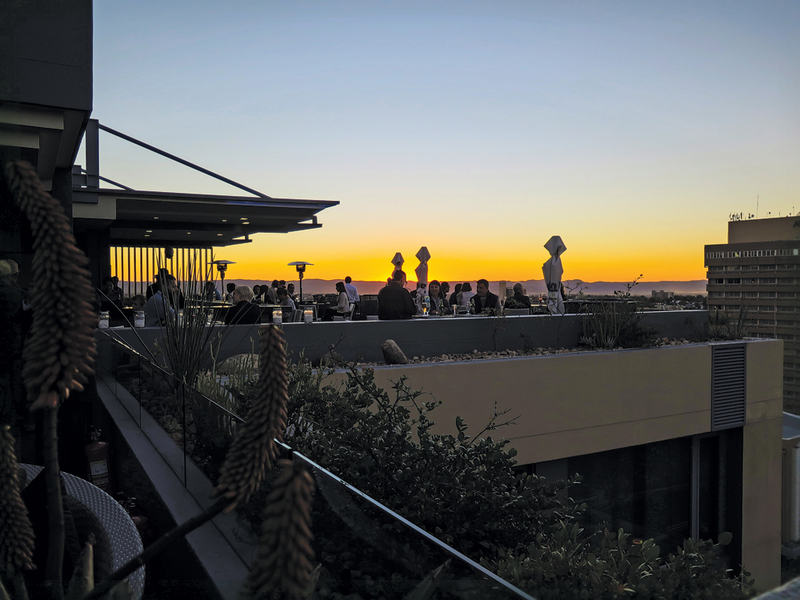 On day five I sampled the pulse of the city centre and the sky-bar on the roof of the Hilton. Make sure you ride to the top in the elevator with the glass panel. Walk past the swimming pool where someone may be doing a lapse or two and some may be stretched out on loungers wrapped in white towels after a spa treatment. Businessmen glued to their laptops sit at the bar counter. This is an urban hangout where international tourists toast the sun with a selfie and local funksters have their own party on the side. It’s a bustling melting pot with a panoramic view. If you want to see what construction is going on in the city centre, this is the perfect vantage point. 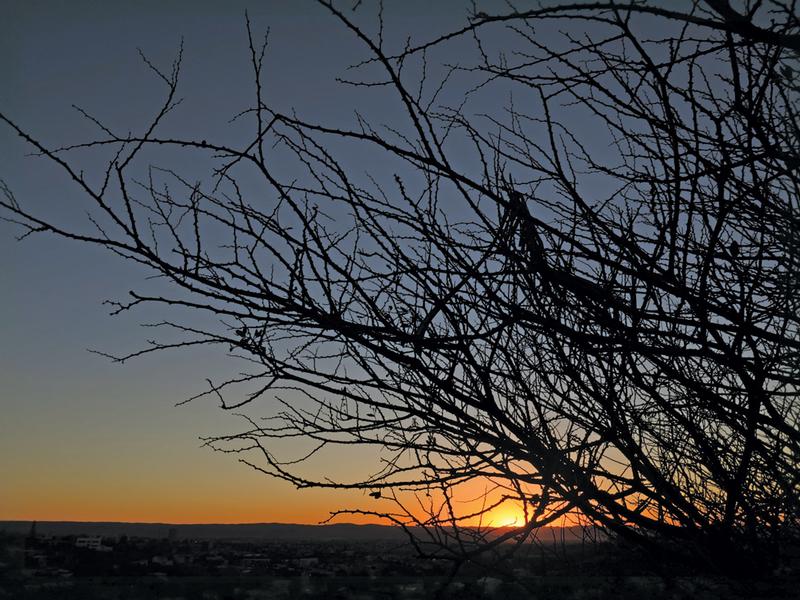 But to the west, past the setting sun, one can see where the city ends and the bush begins. 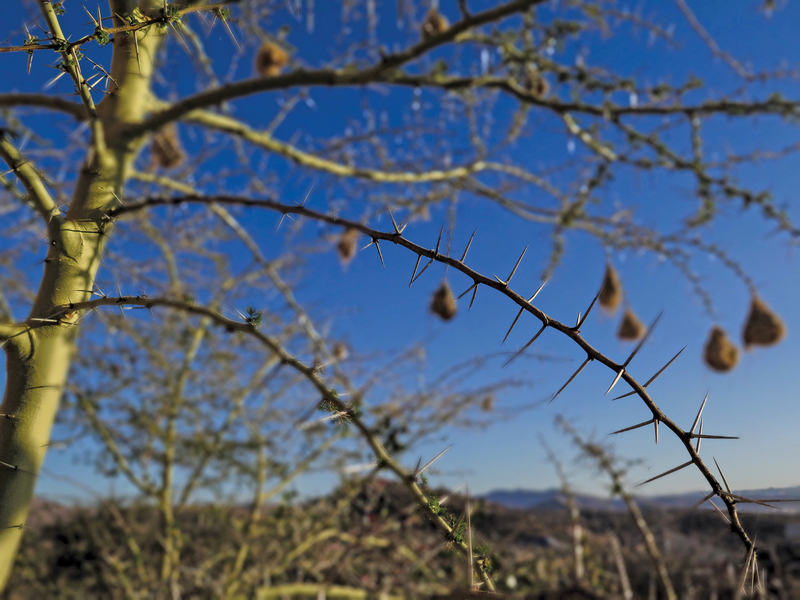 If you plan to travel to Sossusvlei, track the route along the Kupferberg road that leads westwards to the Khomas Hochland. For this view you have to stand close to the edge of the deck. 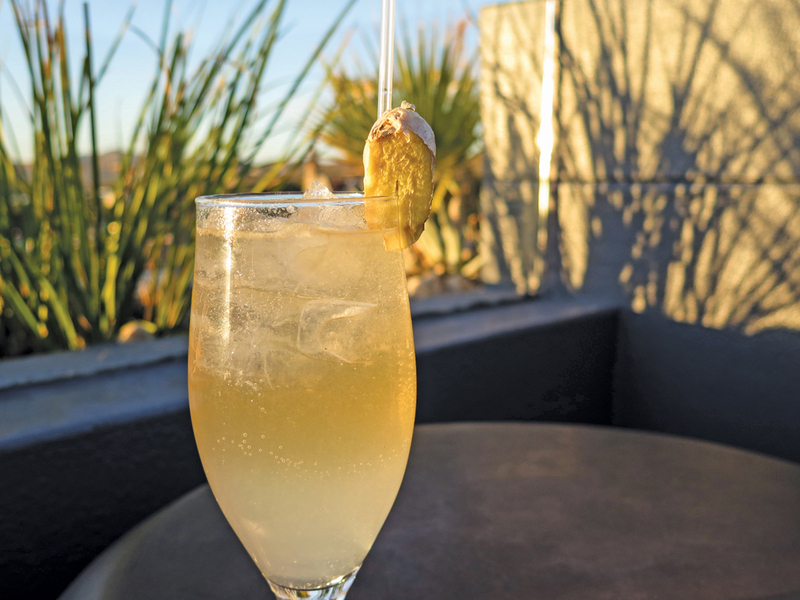 The Hilton Sky Bar offers an experimental take on cocktails and a regional and international selection of wine, beer and whiskey. As can be expected, a variety of light meals and snacks are served at the bar, varying from seafood platters, pizzas, burgers and salads to sushi. Day six took me to River Crossing Lodge on the foothills of the Auas Mountain range southeast of the city. Look out for the quaint steel bridge where the railway line passes overhead as you drive east towards the international airport. After the bridge you turn right onto a gravel road winding through grey thorn bushes. I was reminded of life on a remote farm. So close to the city yet so rural, with fences and farm gates, goats and cattle and an assortment of signboards at every turnoff. Nuances of farm-style architecture are found in the wide balconies and rustic finishes of the buildings on the way to the welcoming entrance of the main building. 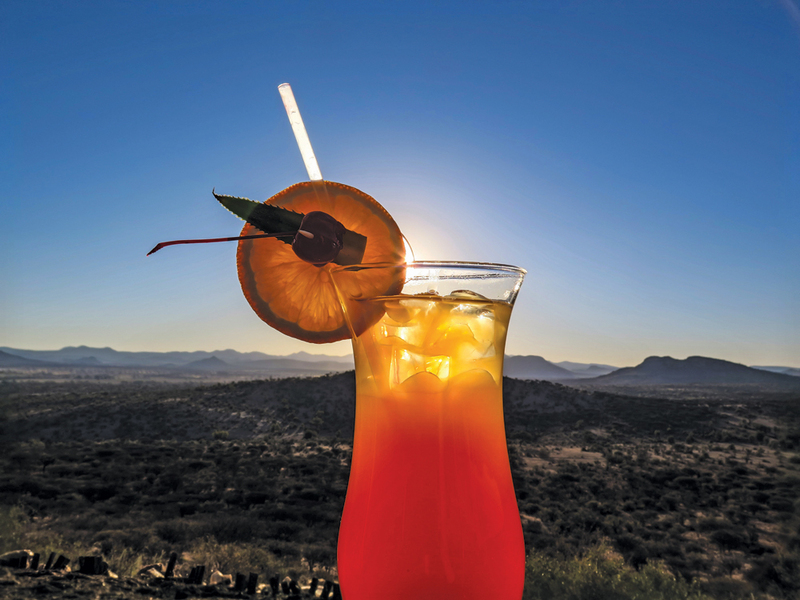 This is a quick nature escape for a sundowner and a snack, with dramatic views of Windhoek from the deck. The lodge is located high enough for spectacular views of sunset, moonrise and flickering city lights as well as for star gazing. Just choose your spot and set up your tripod. And start out early, because the drive is part of the charm. I will have to come back to stay, because there are hiking trails and I hear Andrew Gilles, the king of horse safaris, is based here. 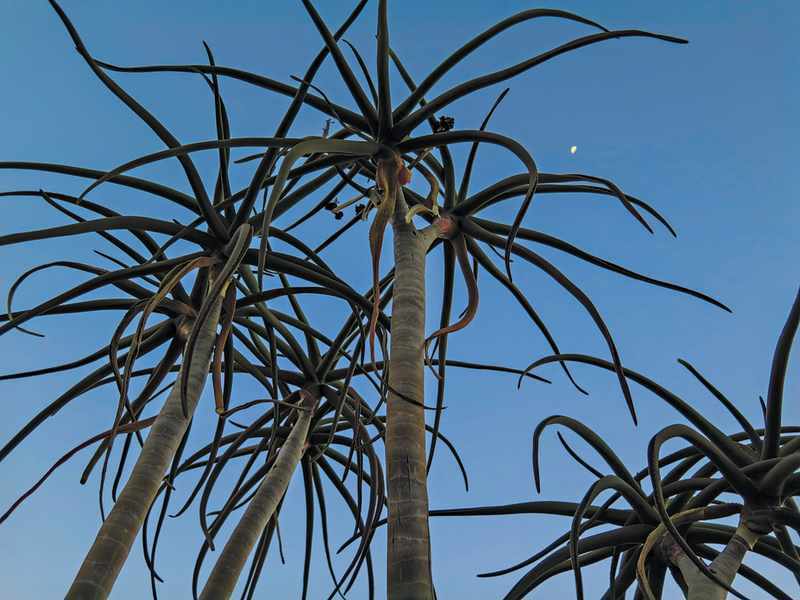 This article was first published in the Travel News Namibia Spring 2016 issue. 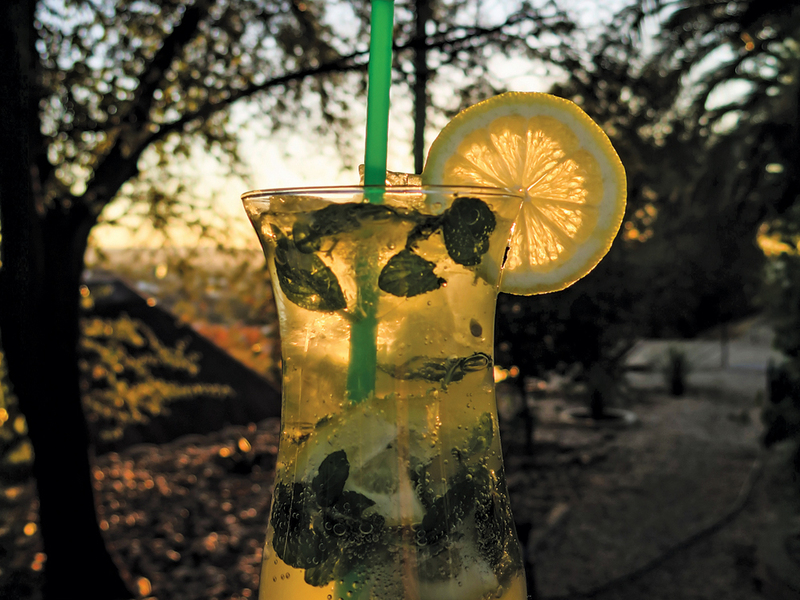 I’m going to Windhoek in November and your description of the various sunset hangouts sounds amazing. 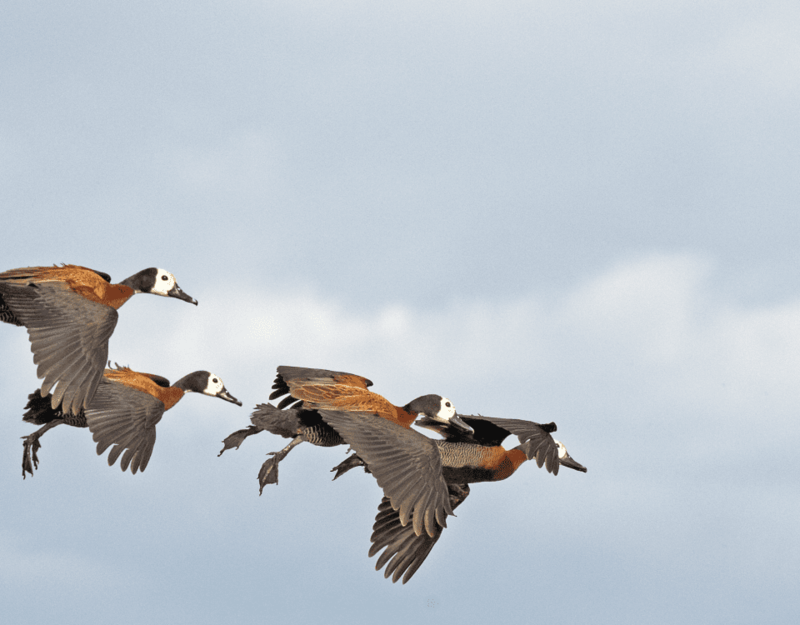 I would to find out if you have any packages for a 2-3 night stay from south africa JHB. I am thinking of traveling on da 1st Nov . I was thinking about anything around windhoek or cheaper .